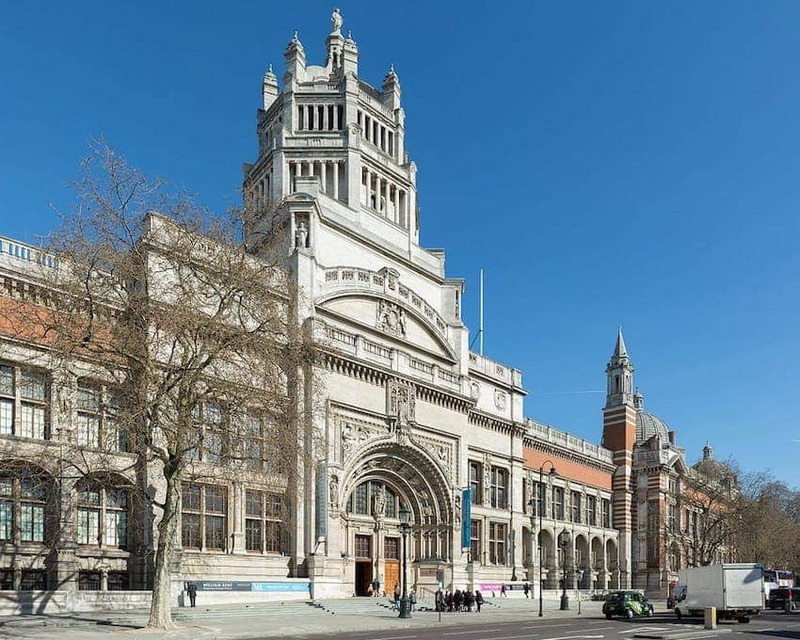 The V&A Museum in London, named after Queen Victoria and Prince Albert, is the world's largest museum of decorative arts and design, with a permanent collection of over 4.5 million objects. In 145 galleries, its expansive collection spans 5,000 years of art, from the ancient to the modern, from Europe, North America, Asia and North Africa. The exhibits range from ceramics, glass, textiles, costumes, silver, ironwork, jewellery, furniture, medieval objects, sculpture to prints and printmaking, drawings and photographs. The museum owns the world's largest collection of post-classical sculpture.